God, some people are weird! Kudos to the little girl doing the ‘rabbit ears’ behind the pregnant nerd. No kudos to the freaks putting a dark helmet on a baby’s head (so many jokes). Oh dear lord. Poor kids. 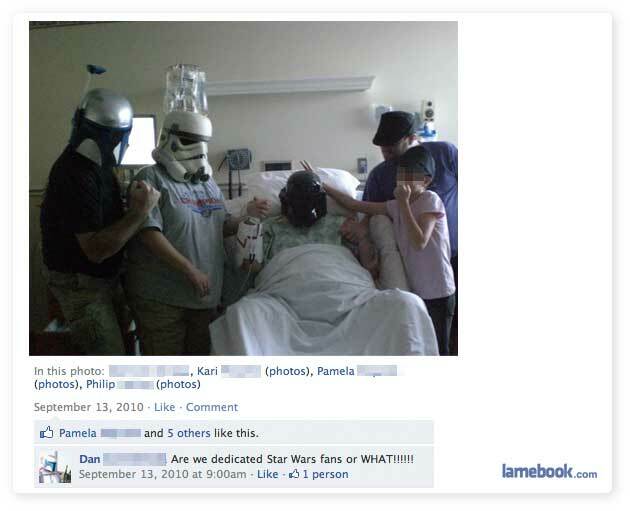 That could possibly be Jabba the Hutt under that Stormtrooper mask. I like these. I especially like a woman who can maintain a sense of humor during labor. 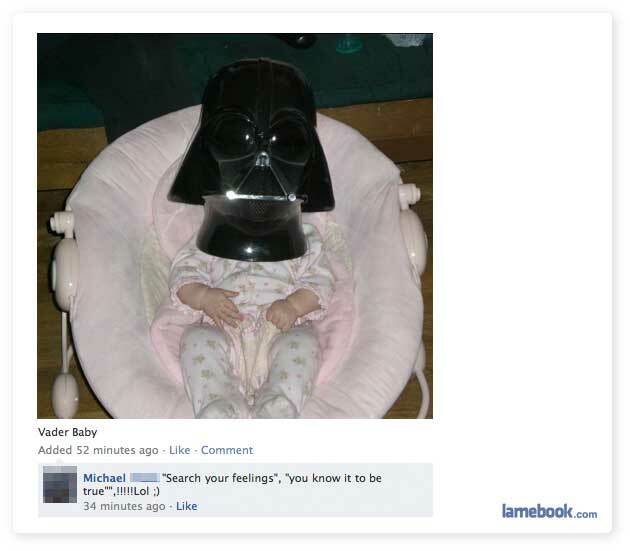 I can’t imagine how horrible Darth Vader lamaze sounds. That baby definitely Forced its way through.